Looking for a classic dinner that’s ready in 20 minutes? 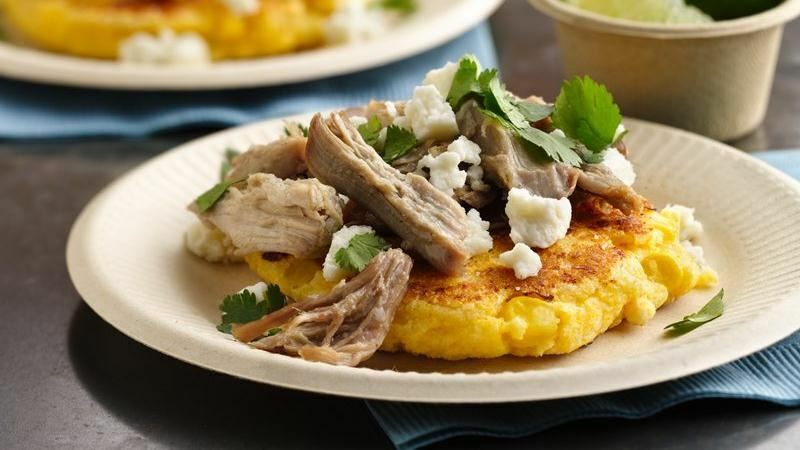 Then check out these pork Arepas featuring Betty Crocker® cornbread & muffin mix and Green Giant® SteamCrisp® Niblets® corn. milk until well blended. Stir in 1/3 cup of the corn; reserve remaining corn. heat. Shape cornbread mixture into small patties, about 2 inches in diameter. Cook 2 to 3 minutes on each side, turning once, until golden brown.